As a member of GCAT you will assist in shaping middle and high school golf in Tennessee to its full potential. Elevating the student athlete's experience is our main goal, by providing support to the golf coaching community. We feel the student athletes will benefit tremendously from your participation in this organization. Becoming a united association will allow more opportunities for growth and participation at all levels. We hope you will consider joining the GCAT team and taking school golf in Tennessee to the next level. Your FREE Membership Fee will give you access to all the resources, allows you and your players to be eligible for awards and give you a voice in driving the direction of middle school and high school golf in Tennessee. 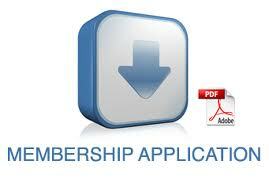 We highly recommend that each coach also become a member of the Tennessee Athletic Coaches Association. The Golf Coaches Association of Tennessee (GCAT) is proud to sponsor a Golf Scholar Athlete team. These high school juniors and seniors have an overall GPA of 3.7 or higher, earned a letter this past golf season, displayed high moral character and were nominated by their coach (who must be a member of GCAT). Academics are a very important component of the student-athlete’s life, but it’s even harder to achieve success when participating in extracurricular activities. GCAT is proud of our student athletes who have excelled both on the golf course and in the classroom.